The site was originally created by David Gilbertson, D.C. in 1996. Gilbertson, a Doctor of Chiropractic in Mill Creek, grew up in Snohomish, WA and was a wrestler in Junior High and High School. He maintained an interest in the sport over the years and started his two sons wrestling with the Snohomish Panther Kid’s Program in the early 90’s. As he helped coach his sons, his passion for wrestling was reignited. His oldest son moved on to other sports but his youngest son (Jonny) took a keen interest in wrestling. In 1995 Jonny began training with the USA Everett Wrestling Club and came under the tutelage of Ron Bessemer. Under the coaching of Bessemer, Jonny went on to win the first of what would eventually be 10 state freestyle titles over the years. Dave Gilbertson started with a personal webpage just to experiment with the Internet, which was brand-new at the time. He made a family wrestling page and eventually started adding other USA Everett results and information to it. Gilbertson began gathering brackets at the end of tournaments and posting the results on the web for others to see. This was back in the day before track wrestling so results were very hard to find, especially for local and state-level tournaments. The web site was originally a freestyle oriented page for kids however, as things evolved it began to encompass folkstyle, freestyle and Greco-Roman for kids as well as high school wrestling. As time passed, it became the de facto standard for wrestling the state of Washington. During the peak season of high school over 22,000 different users accessed the website per month in 2012. Over the past 20 years Gilbertson has served wrestling in many capacities. He originally started out helping coach his sons, and other team wrestlers, at tournaments. He could also be in the corner helping coach kids from other teams at regionals and national events when they did not have a coach with them. He was an assistant coach at Cascade in 2003-06. He also served as a coach on the Washington Cadet Dual Teams (2002 & 2003), Washington Junior Dual Teams (2004 & 2005), Washington Cadet National Team in Fargo (2003), and former served as the Team Director for the Washington All-Star Team (2011-2016) that competes at the ORCA Duals every spring. Gilbertson also began refereeing in the late 90s and continues to officiate in high school to this day. He has officiated at every level of tournament from the local kids tournament, with five-year-olds, all the way up to being a Mat Chairmen at the Cadet/Junior National Final matches. 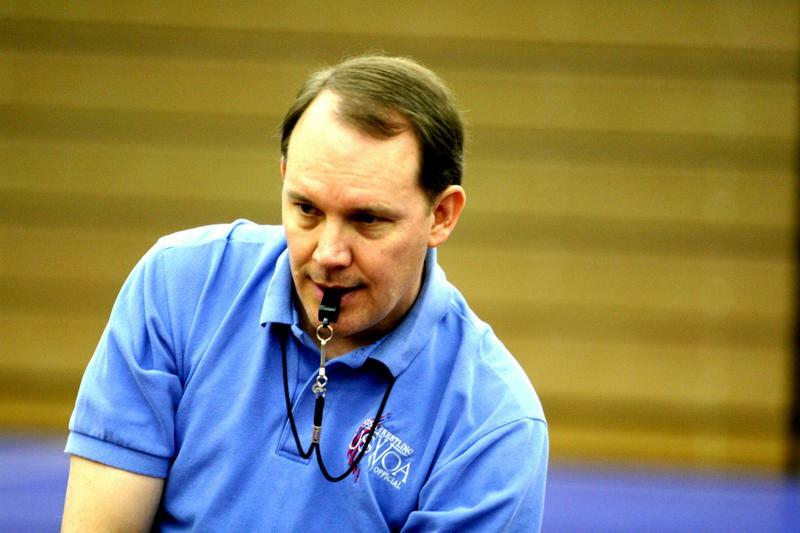 For the WOA he refs from middle school matches all the way to the Mat Classic (WIAA high school state championships. He continues to maintain a part-time practice at Mill Creek Chiropractic Clinic PS and also manages to get in 5-20 days per year on the ski slopes. Daily newspapers, television stations and radio stations may use content as part of their regular reports. Magazines and websites MAY NOT use without written permission. Questions and comments about this site may be sent to the Webmaster. This site is dedicated to the support of Northwest wrestling and is run by Dave Gilbertson. It is a registered business that is not officially affiliated with any State or Private organization, I make no promises as to the accuracy of the scores and results sent in to me. If there are errors, please notify me as soon as possible and I will try and fix them. The views expressed are my own and based on the best information that I have at the time. They are not intended to be disrespectful of any team or wrestler. All pages at this site are © Copyright 1996-2019, David L. Gilbertson.